Question is, should it go fully electric? Only a few days ago we learned , mainly because of the upcoming i4 and iNext EVs, slated for 2020 and 2021, respectively. However, that news may have been slightly premature. According to , Munich-based management has not ruled out an i8 successor, meaning a second-gen is currently being studied. A new i3 is still not in the cards. The i8 is a hybrid high-performance sports car and, apparently, BMW is not sure whether to continue with this setup or to make it fully electric. It shouldn’t be ruled out that the i8 could become an all-electric supercar, which is something we’re not at all against. The i8, launched in 2014, was and remains a revolutionary car for the German automaker, with advanced technologies inside and out as well as a futuristic design. Not everyone likes its looks, but there’s no questioning the i8 put BMW in a better position in terms of displaying the automaker’s capabilities. Think of the current i8 as a blue print of sorts as to how the sports car of the future can survive thanks to hybrid and plug-in hybrid tech. 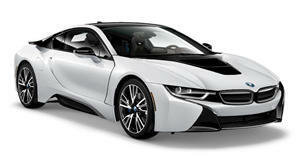 Even today, the i8 turns heads wherever it goes and its powertrain is still considered, more or less, state-of-the-art. Of course, the i8 is beginning to lose its edge somewhat due to new rivals. Even the is something we’re sure BMW is closely examining. A second-generation i8 would also, theoretically, fit in well with BMW’s planned 25 electric car strategy that will soon get underway. 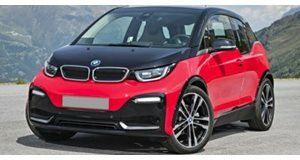 Considering the i8 has already made a name for itself, less so the i3, it’d make sense for BMW to retain the car as a technological and high performance flagship coupe and now roadster. By going all-electric, it would not infringe upon the 8 Series’ territory and can further help BMW push boundaries. It all sounds pretty good, right? Indeed, so when (or if) will an all-new i8 arrive? For sure it won’t be before 2020. The following year is devoted, in part, to the iNext, so figure around 2022 or 2023 at the earliest.